The Navy’s first new Triton drone for ocean surveillance lands at Point Mugu, reports C4ISRNET. 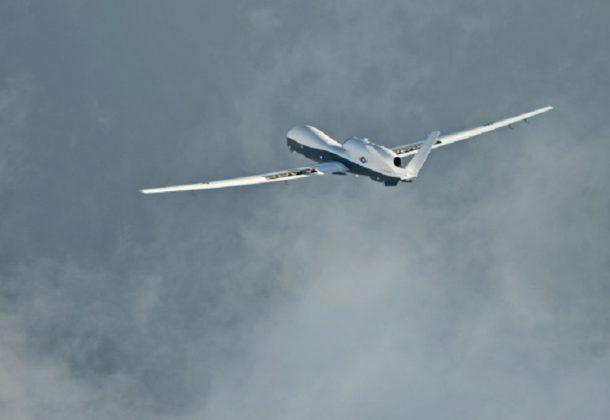 The MQ-4C Triton can fly for as long as 24 hours and at an altitude as high as 55,000 feet. While “[t]he military does not blindly follow orders,” retired Gen. C. Robert Kehler, former commander of the US Strategic Command, said he did not know the next steps if the command believed an order to launch nuclear weapons was illegal, reports The Hill. Don’t reactivate old frigates. Defense News reports an internal Navy memo says bringing back mothballed Perry-class frigates would cost$4.32 billion over 10 years, cut into modernization accounts for other ships, and add little to the Navy’s capabilities. The Army has lifted a ban on issuing waivers to recruits with a history of some mental health issues, reports The Hill, due to increased availability and data on applicants’ medical histories. Sen. John McCain (R-AZ) threatens to hold up Pentagon nominees, upon learning of the mental health waivers, reports The Hill. The United Arab Emirates is expected to receive a new batch of AH-64 Apache helicopters from Boeing, reports Defense News, including a new batch of the latest Apache AH-64E. South Korea rejected Japan involvement in joint US military drills, reports Nikkei Asian Review. The drill was to show a united front against North Korea in the Sea of Japan. The BBC reports that a secret deal let hundreds of IS fighters and their families escape from Raqqa ‘s dirty secret. Local officials cut the deal, which sent a convoy of some of IS’s most notorious members and allowed them to escape under the gaze of the US- and British-led coalition and Kurdish-led forces who control the city. Private spaceflight company, Sierra Nevada, landed its Dream Chaser space plane on a runway after being released from a helicopter, reports the Verge. The free-flight test at Edwards Air Force Base in Southern California, assesses the aircraft’s landing capabilities. NBC News reports on how to save a sinking Deal Island, a Chesapeake Island struggling to stay above rising sea levels. Scientists estimate the Chesapeake waters have risen a foot in the past century and will continue to climb another 2 feet by 2050 and another 3 feet or more by 2100, which would almost submerge Deal Island. Devin Kelley’s Air Force punishment exposes flaws with military justice, reports The Washington Post. The Air Force knew he shouldn’t have a gun, but failed to report his domestic violence conviction to the FBI. Does the middle class really win under the Senate tax plan? The Fiscal Times assesses winners and losers if this plan is enacted. Haste on tax measures may leave a trail of loopholes, reports The New York Times. BAE Systems Norfolk Ship Repair, Norfolk, Virginia, is being awarded a $139,818,901 firm-fixed-price contract for the execution of USS Tortuga (LSD 46) fiscal 2018 modernization period Chief of Naval Operations availability. This availability will include a combination of maintenance, modernization, and repair of USS Tortuga. This contract includes options which, if exercised, would bring the cumulative value of this contract to $183,794,039. Work will be performed in Norfolk, Virginia, and is expected to be completed by May 2019. Fiscal 2018 operations and maintenance (Navy); and fiscal 2018 other procurement (Navy) funding in the amount of $139,818,901 will be obligated at time of award; and funds in the amount of $112,553,445 will expire at the end of the current fiscal year. This contract was competitively procured using full and open competition via Federal Business Opportunities with two offers received. 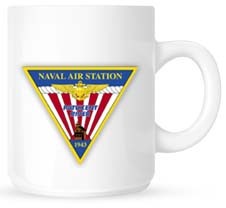 The Naval Sea Systems Command, Washington, District of Columbia, is the contracting activity (N00024-18-C-4403).